Explanation: It is the object to the left of the big tree that's generating much recent excitement. If you look closely, there you can see Comet PanSTARRS, complete with two tails. During July, this comet has increased markedly in brightness and has just passed its closest approach to Earth. The statuesque tree in the center is a Norfolk Island Pine, and to either side of this tree are New Zealand Pohutukawa trees. Over the trees, far in the distance, are bright Venus and an even brighter crescent Moon. If you look even more closely, you can find Jupiter hidden in the branches of the pine. 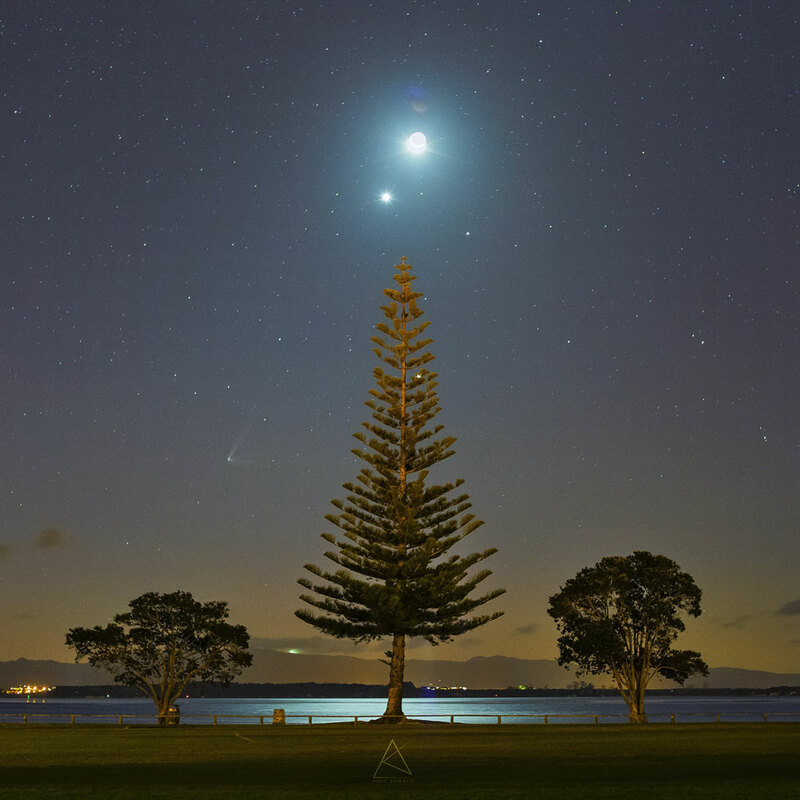 The featured image was taken a few days ago in Fergusson Park, New Zealand, looking over Tauranga Harbour Inlet. In the coming days and weeks, Comet C/2014 Q1 (PANSTARRS) will slowly move away from the Sun and the Earth, drift deep into southern skies, and fade.